Are you struggling to connect and understand your partner? Do you and your partner argue with one another about the same issues over and over again? Has your world been turned upside down because of an affair? Are you and your partner living separate lives? Do you desire a more fulfilling and conscious relationship with your loved one? If you answered YES to any of the above questions, you are not alone. Relationships can be difficult to navigate, especially when don't have the tools to cope. Couples therapy invites partners to explore areas of disconnection and how to consciously love and commit to one another. Couples therapy can help with such issues as communication, marital conflicts, different parenting styles, intimacy, blended families, step-parenting, coping with extended family members, anxiety and/or depression, anger and infidelity. I can provide support to help you improve communication skills, discuss concerns, solve problems, discuss your thoughts and feelings, gain a better understanding of your relationship, resolve conflicts, make changes, develop skills to maintain a healthy relationship with cooperation and mutual trust. "Love is the oxygen of life." The primary therapeutic model I use when working with couples is the Gottman Method Couples Therapy. This therapy model is a groundbreaking approach helping couples break through barriers to achieve greater understanding, connection, and intimacy in their relationships. I have found this method to be particularly benef icial to couples as it provides research-based interventions and exercises to help couples find new ways of connecting, manging conflict, and creating new meaning. Couples I have worked with have seen tremendous results in their relationships using the specific tools they have learned in couples therapy. The research is based on Dr. Gottman’s study of more than 3,000 couples and shows what actually works to help couples achieve a long-term healthy relationship. I have extensive training in this method and have completed the Clinical Training Levels 1, 2, and 3. I am currently pursuing certification to become a Certified Gottman Therapist. Treating Affairs and Trauma: Helping Couples Heal and Rebuild Trust is a specialized training I have completed with Drs. John and Julie Gottman, founders of Gottman Method Couples Therapy. An affair can completely shatter a couples world, turning it upside down, leaving both partners not knowing where to go next. Couples therapy can provide a safe space to work through the hurt and betrayal while rebuilding trust and commitment. Using Gottman Method in helping couples recover from an affair has proven to be healing and provides hope for a better future. Helping couples heal from the aftermath of an affair is an area of expertise and one in which I find truly rewarding to work with. 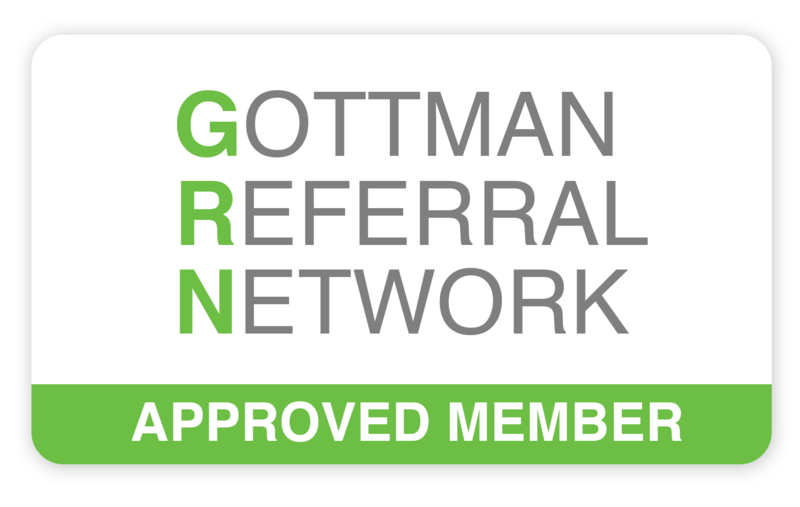 An innovative tool I use in my work with couples is the Gottman Relationship Checkup. Developed from over 40 years of research with thousands of couples, this relationship questionnaire relies on intensive, detailed, and evidence-based information on why relationships succeed or fail. It allows us to learn the strengths and challenges of your specific relationship and to determine a treatment plan tailored to your needs. The questionnaire is composed of 480 questions about friendship, intimacy, emotions, conflict, values, and trust, as well as parenting, housework, finances, individual areas of concern, and more. Each partner completes the online questionnaire individually. Upon completing the questionnaire, we will come together and discuss any suggested steps for improving your relationship. This is a remarkable tool that will save you time and money because we will be able to pinpoint the specific areas that will improve your relationship. I have also received training by the founder of Emotionally Focused Therapy (EFT), Dr. Sue Johnson. EFT is based on the science of adult attachment and bonding. EFT can help partners better understand both their own emotional responses and those of their partner. The goal of EFT is to help couples move into the open close embrace that is a secure loving bond.